Brilliant Texan four-piece Spoon release a new single on November 15 (today!) through Anti- Records. It's not exactly new because it comes off Transference, which was released a little while ago now, but it is still as good as it ever was. We've got the premiere of the video, a bit more of which you can read below. It was pretty easy really. 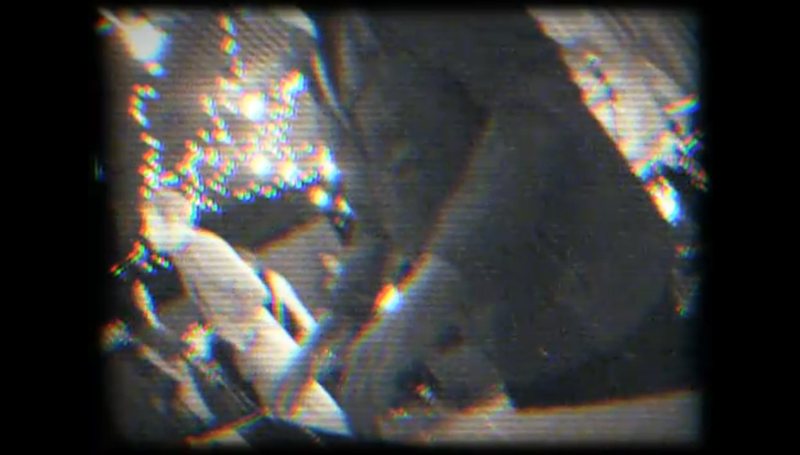 I went to see Eddie Current play at the Cake Shop in New York this past summer and there was this amazing security camera-type shot of the stage that was played behind the bar. The bar's on the same floor as the stage but it's so narrow in there and it was so crowded that the security cam was how a lot of people ended up watching the show. I was watching it there about half the time. Anyway it looked amazing. I don't know why. So my idea was to just record us doing a show at the Cake Shop on that camera and save it as a document. I got talked into using more cameras but we rented some that were like the one at the Cake Shop. We shot it at noon and just let anybody in who wanted to come. Nice afternoon in New York City. The band have a couple of UK tour dates this week, have a peek below for when they are and where. Win: Constellations festival tickets + Leeds goodie bag!